Pharsalia sits on the shoulder of dePriest Mountain at about 1010’ elevation and because of this perch, we often enjoy our days living in the midst of the clouds. Days with rain or fog tampen down what normally are exuberant distant views of orchard and vineyard. Instead we turn inward and to the small things, we enjoy the mysteries that fog can evoke. 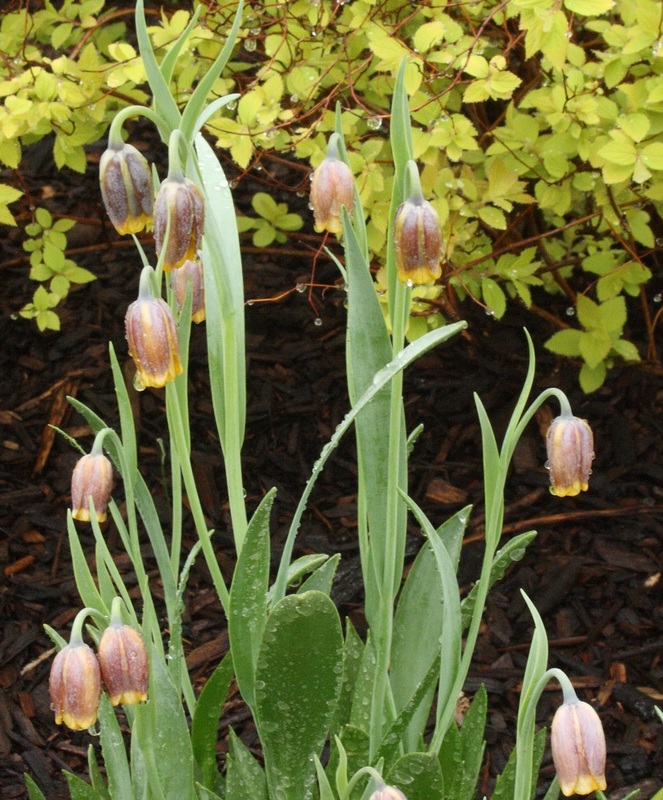 Look down and you will see the spears of Solomons Seal just breaking though. Stop at the Upper Smokehouse and enjoy the drops of rain on delicately colored Fritalleria in front of the golden Spirea. 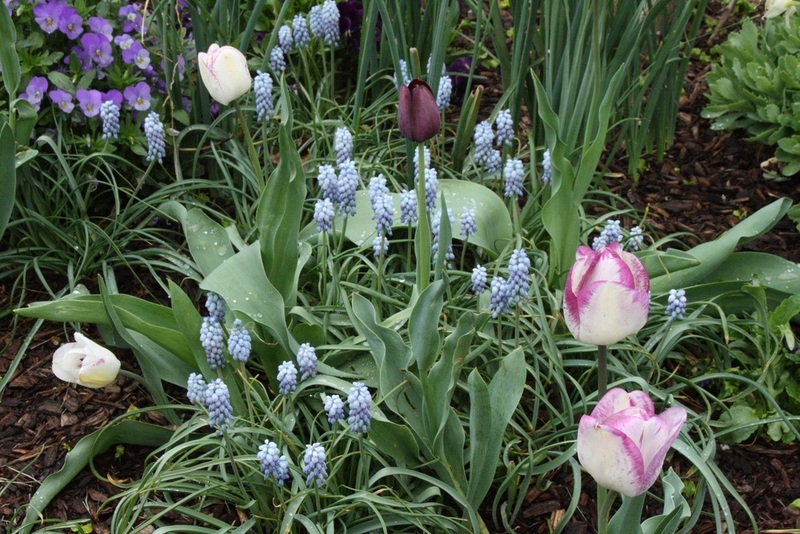 In the blue bed the soft color of a gray day is perfect for enjoying the small chords of harmony with ‘Queen of Night’ and ‘Shirley’ Tulips, ‘Valeri Finnis’ Muscari and light blue violas. The Lower Smokehouse sits quiet and stately in the Perennial Herb Garden. And even the dogs, on the Front Lawn, find something of interest in this soft spring fog.